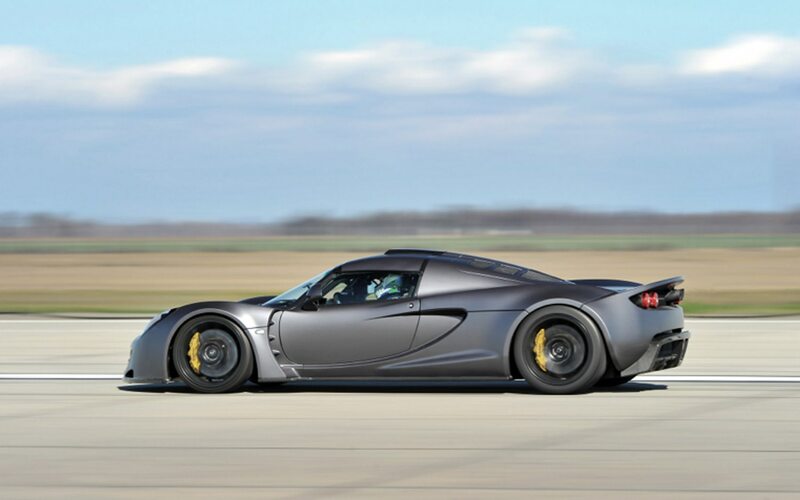 From the files of “no, really; don’t try this at home:” Hennessey Performance says its Venom GT hypercar hit 265.7 mph during testing, making it the fastest production car on sale today. 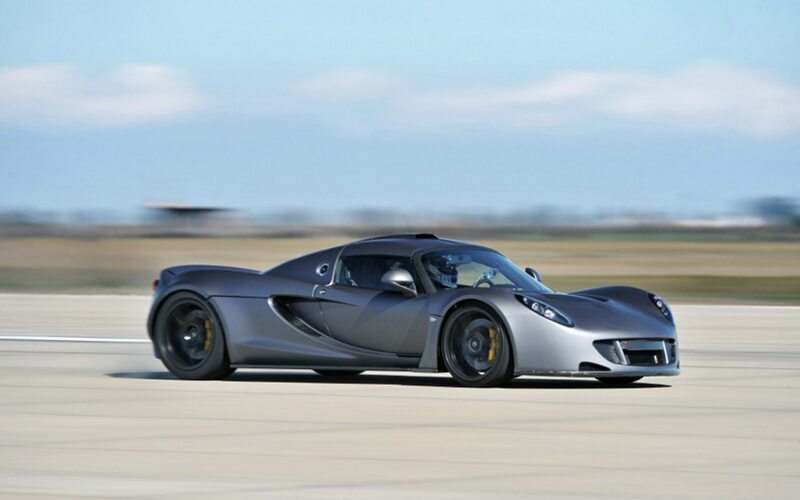 The Hennessey Venom GT is nothing to be messed with: it starts in life as a Lotus Elise but throws out all major Lotus parts, including the powertrain. 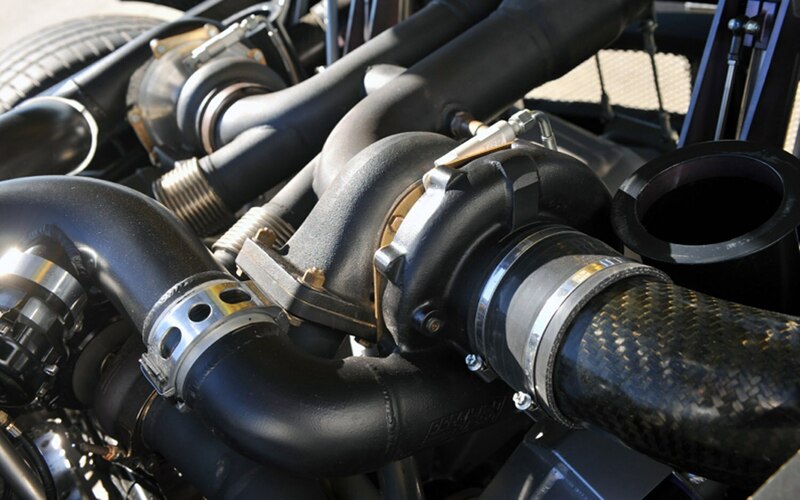 Where we might expect to see a four-cylinder engine, Hennessey mounted a 7.0-liter, twin-turbo V-8 engine making 1244 horsepower and 1155 lb-ft of torque. 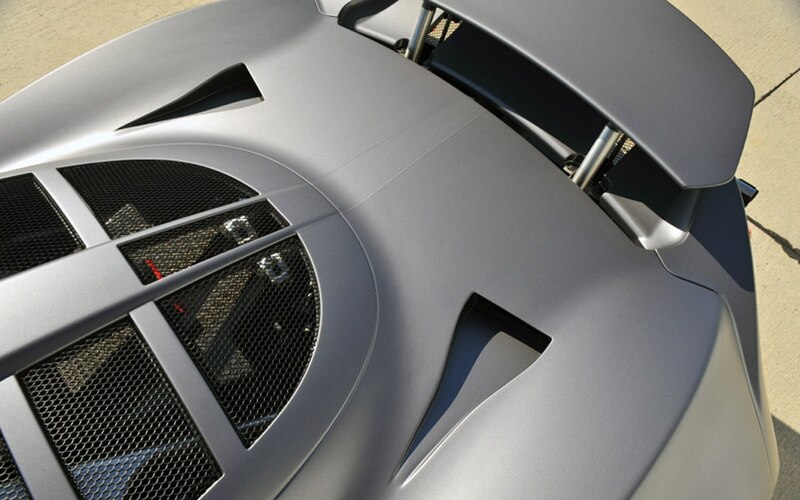 The whole package weighs just 2743 pounds, which ensures a power-to-weight ratio of one horsepower per kilogram (2.2 pounds per horsepower). 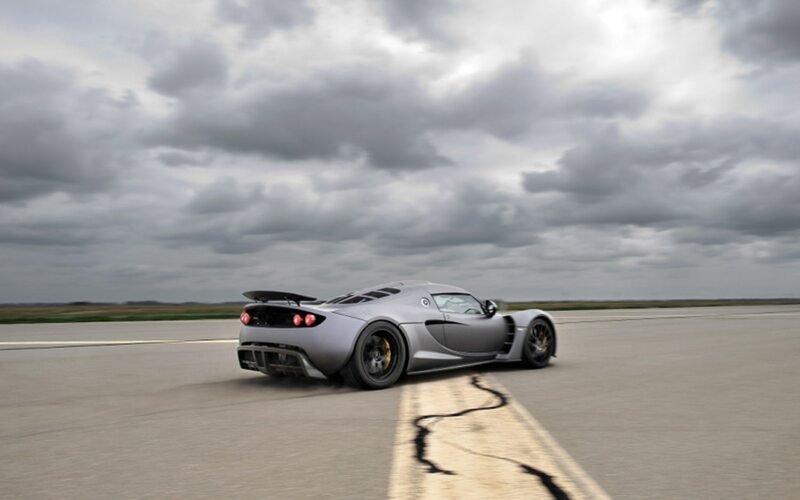 The Venom GT has been gunning for the Bugatti Veyron’s title of world’s fastest production car for some time now, but this time it may have finally snatched the crown, if only on a technicality. 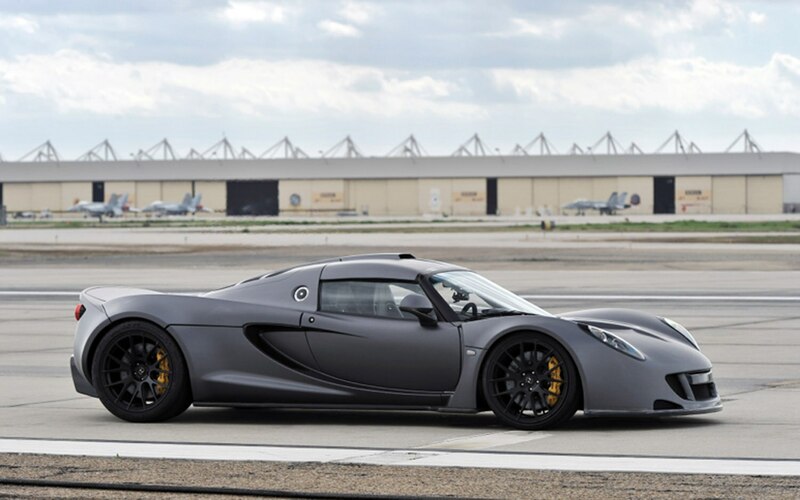 Hennessey Performance took a stock Venom GT and attached two VBOX GPS data loggers, then sent it to United States Naval Air Station Lemoore in California, with its 2.9-mile-long runway. 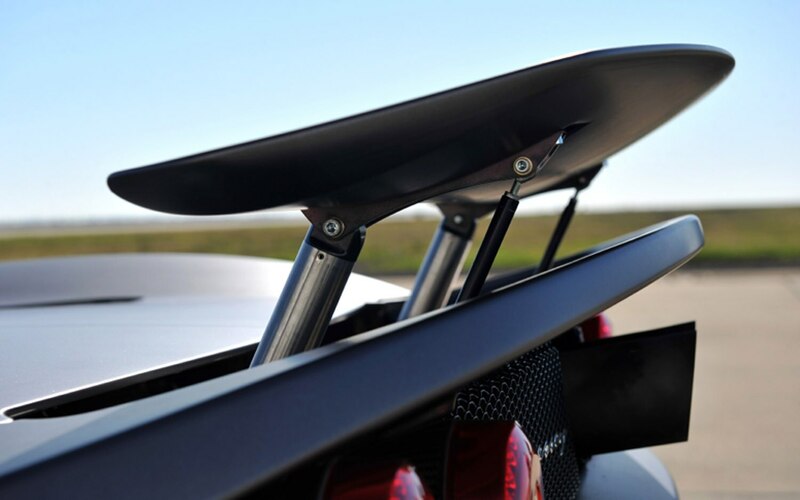 The rest speaks for itself: Hennessey claims (and verified in the video you’ll see below) that the Venom GT hit 265.7 miles an hour in about two miles. 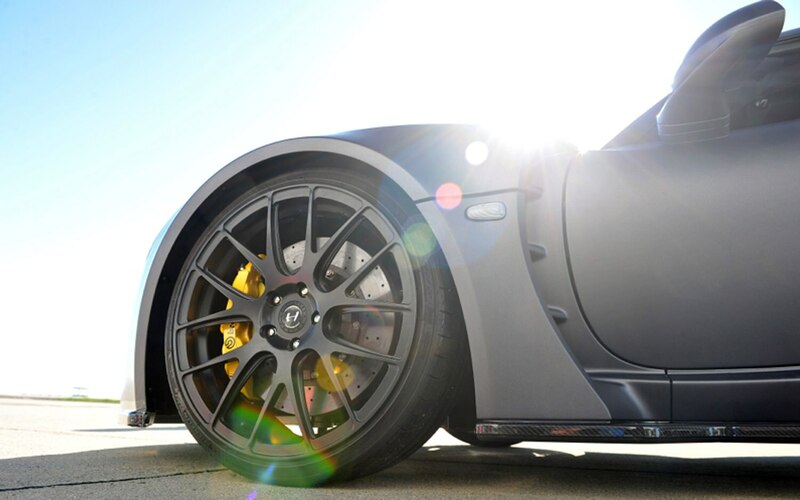 That’s an impressive number, but the Venom GT didn’t necessarily make into the Guinness book. 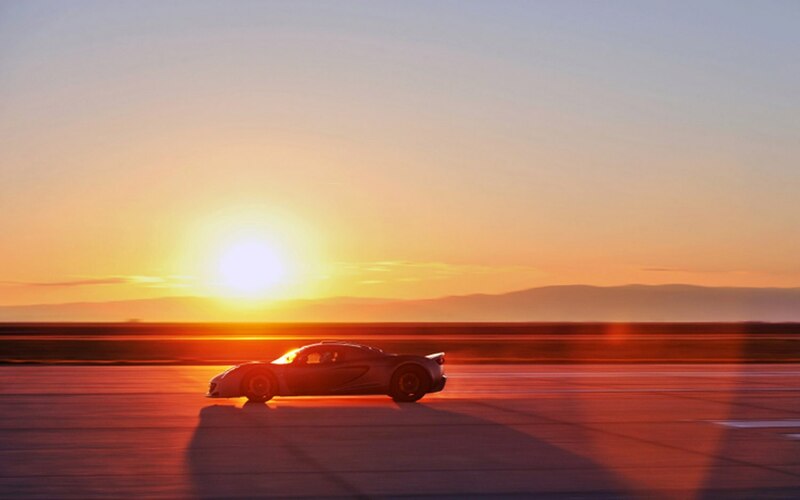 In 2010, Bugatti took its Veyron Super Sport up to 267.8 mph, making it the fastest production car in the world. 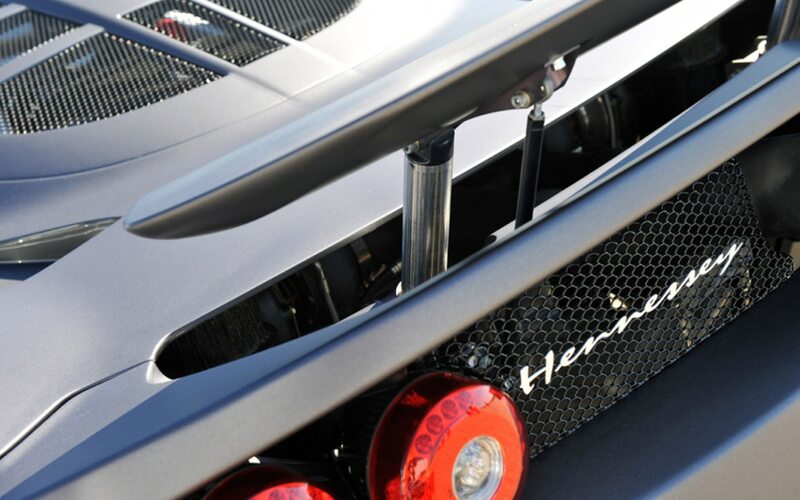 Not so fast, says Hennessey: the record-setting Veyron SS wasn’t electronically limited, while most (except for five World Record Edition) customer SS models are limited to 257.8 mph. 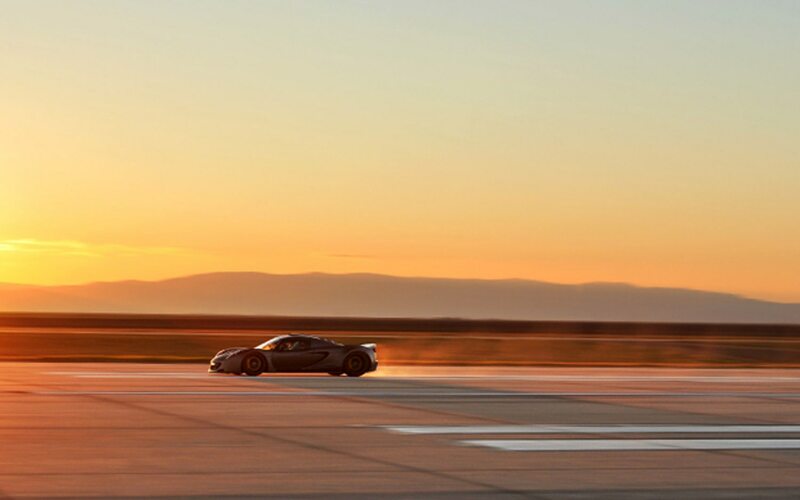 The test also took place at VW’s private test facility at Ehra-Lessien, Germany on a 5.6-mile-long straightaway, effectively twice as long as Hennessey’s. 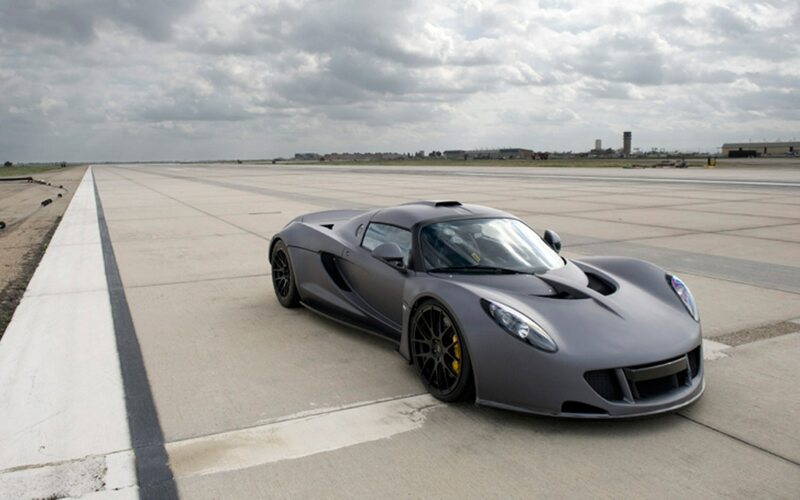 Hennessey Performance boss John Hennessey says he believes that the Venom GT would actually top out at 275 on the same Ehra-Lessien track. 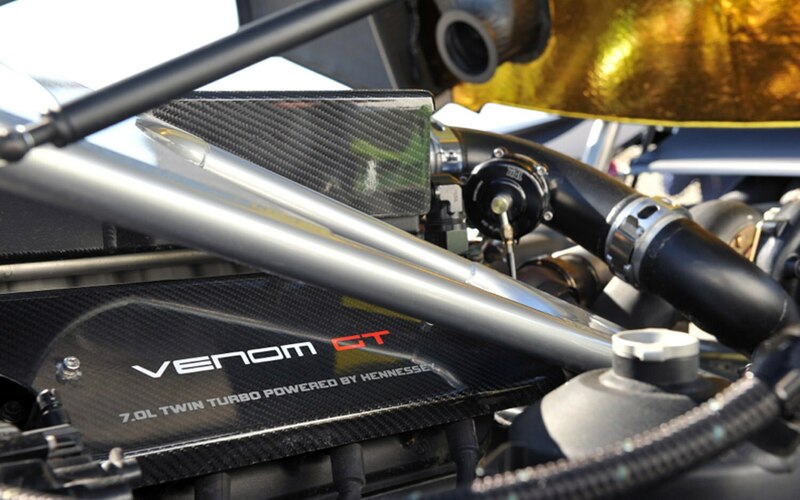 For now, however, the Venom GT will have to take its 265.7-mph time slip and the title of “the fastest production supercar available to the public.” Check out the video proof below.